FOR the second time in less than a week, San Miguel is set to replace imports in the PBA Governors’ Cup as Terrence Watson already arrived to take over from Terik Bridgeman. Coach Leo Austria disclosed Watson came over on Wednesday morning and will start practicing with the team by Thursday as the grand slam-seeking franchise gets ready for its highly anticipated duel with defending champion Barangay Ginebra this Sunday. A native of Detroit, Watson is 30 years old and will replace Bridgeman, who managed to score only four points in his final game with the Beermen, a 103-96 win over Rain or Shine at the Smart Araneta Coliseum that ended the team's two-game skid. "Hindi siya nakalaro ngayon dahil kailangan pang ma-accomplish yung mga necessary papers," Austria said of Watson. "But definitely next game, meron na kaming bagong import." Just last week, Bridgeman was brought in to replace Wendell McKines, who, Austria admitted, plays almost the same position as resident big man June Mar Fajardo. 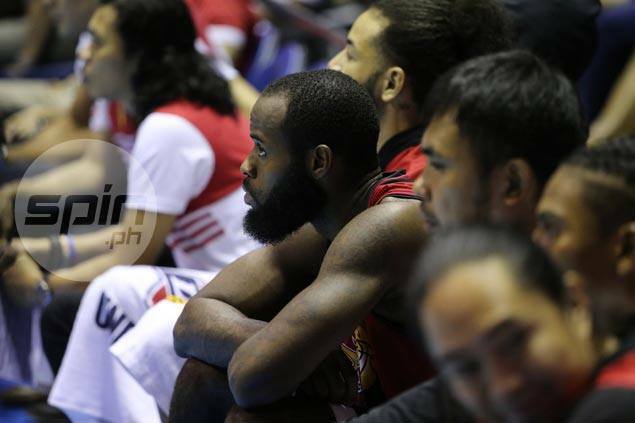 But Bridgeman failed to play according to expectations as the Beermen lost to the Alaska Aces in Angeles City during his debut game. "Si Terik naman very impressive yung kanyang credentials, pero he's trying to be nice to everybody, pati sa mga kalaban,kaya wala akong masabi," said Austria. The San Miguel coach stressed the team needs someone who could complement the talent the team has. "Wendell (McKines) is a good player, but we have someone in mind," Austria said. He added San Miguel needs to change import since other reinforcements like Justine Brownlee of Ginebra, Meralco's Allen Durham, and even Aaron Fuller of NLEX are all performing well. Austria also said getting an import is a hit-and-miss thing. "Ang pagkuha ng import tsambahan yan," he said, citing the case of Brownlee, who steered the Kings to the title of this same conference last year after coming as replacement to the injured Paul Harris. In the end, the bottomline is to win especially with the Beermen seeking to complete a three-conference sweep of the season. "We want to win because alam nyo naman yung prize na nakataya dito sa amin," said Austria.